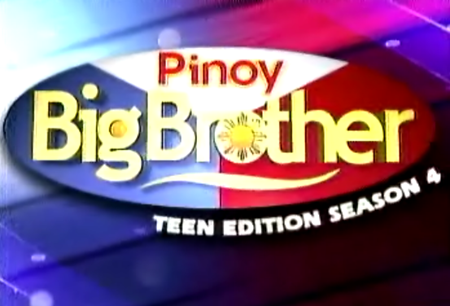 Tonight is the official announcement of Pinoy Big Brother Teen Edition 4 complete list of housemates. PBB Teen viewers and fans are excited to meet them all. Let's start knowing them now after the jump. And so may we also meet the newest host of Pinoy Big Brother teen edition 4, actor/dancer John Prats. Tom Doromal, 16 years old. The Bukid Prince ng Davao, Tom comes from a rich hacienda-owning family but nonetheless partakes in farm chores, including climbing coconut trees to pick coconuts, which are made into husks and copra. Roy Requejo, 18 years old. The Boy Sipag of Naga, Roy comes from a broken family and has worked as a garbage boy, construction worker and welder to provide for his siblings. Ryan Boyce, 16 years old. The “Pilyong Binatilyo of Angeles,” the half-British Boyce is an aspiring football player, whose view of life changed when he got into an accident that almost cost him his dreams of playing football. Yves Flores, 18 years old. The “Masunuring Son of Tarlac,” Yves said he makes it a point to get home early because he has a 7 p.m. curfew. Alec Dungo, 18 years old. The “Chinito Gwapito of Laguna” is a pharmacy student at the University of Santo Tomas and a campus heartthrob who has joined numerous provincial and school pageants. Vincent Manlapaz, 16 years old. The “Bunsoy Tisoy of Rizal,” Vincent is an honor student who was raised by his grandmother and aunt, since his mother works abroad, while his father has another family. Kit Thompson, 15 years old. The “Kid Tangkad of Pampanga,” Kit stands at a whopping 6-foot-1. His father hails from New Zealand, while his mother is a Filipina. Joj & Jai Agpangan, (Twins) The Double Diva ng Bacolod, Joj and Jai have a special task from Kuya. Myrtle Sarrosa, 18 years old. The "Cosplay Cutie ng Iloilo," Myrtle said dressing up as anime characters is her way of expressing herself. Angelika Javier, 15 years old. The "Ala-Anghel ng Batangas," Angelika stands 5-foot-6 and with her morena features has won several beauty pageants in her area. Clodet Loreto, 13 years old. The "Prangkang Chicka Teen ng Davao." She is the youngest contestant to enter the Big Brother Teen Edition 4. Karen Reyes, 16 years old . The “Hagikgik Chick ng Mindoro.” Karen has had a lonely past since her father died due to traffic altercation. Claire Bercero, 16 years old. The “Cindi-Rebel ng Makati,” this half-Filipino, half- French was once an out of school youth after she dropped out of third year high school. Sino sa tingin nyo ang magiging teen big winner sa kanila? Ngayon pa lang, ibigay nyo na ang inyong suporta sa napili ninyong teen housemates ni kuya. Pwedeng gamitin ang comment box sa ibaba para ibigay ang inyong opinyon at suggestion. Maraming salamat po! Ito na ang BIG NIGHT... Abangan! Comments or suggestions about "Pinoy Big Brother Teen Edition 4 Complete List of Housemates" is important to us, you may share it by using the comment box below.